The very early 1980s was a scary and confusing times for many rock gods of the previous decade. This new thing called MTV was turning oddball British acts like Kajagoogoo, Adam Ant, Culture Club and Haircut 100 into overnight stars, and 1970s stadium rock giants like the Who, the Eagles, Wings, Emerson, Lake and Palmer, Led Zeppelin and Yes were breaking up with stunning regularity. What do you do when you’re in your early thirties and all of a sudden your band is gone and nobody wants a 10-minute drum solo? 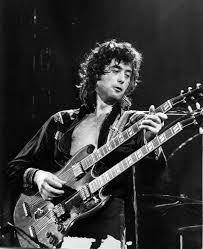 As Scott Mervis wisely pointed out on his Pop Noise blog (I’d forgotten), Jimmy Page turned 70 yesterday. No long biographies here. No attempt to be definitive here. You can get the obvious stuff anywhere. Here’s some Page material from the lesser-known earlier corners of his career. Page’s solo single: “She Just Satisfies.” Page was a successful London studio guitarist at the time he made this single, doing both guitar and vocal. The song and sound are a steal from the Kinks of the “You Really Got Me” era (which contrary to decades of rumors, Page did NOT play lead guitar on). Playing bass with the Yardbirds. Jeff Beck on lead guitar, Keith Relf on vocals, Chris Dreja playing second guitar and drummer Jim McCarty, from French TV. “Train Kept A-Rollin'” Page replaced original bassist Paul Samwell-Smith. The Yardbirds’ Lead Guitarist. From French TV. With Jeff Beck gone, Page took the guitar spot. Here they play both “Train” and “Dazed and Confused.” When Relf and the others left, Page began forming the “New Yardbirds,” the original name of Led Zeppelin. Zep In Australia. “Let’s Have A Party” Plant and Page loved throwing in Elvis Presley covers onstage. A bootleg live CD of them appeared at one point. Back To Skiffle? Reunited with Robert Plant and others performing “My Bucket’s Got A Hole In It,” from a televised tribute to Sun Records tribute, honoring Sonny Burgess’s rockabilly version. Oh, the elderly guy who talks with encyclopedic musical knowledge is another legendary label founder and producer: Ahmet Ertegun, the man behind Atlantic Records. Yes, Jimmy Page Can Play the Guitar. The Question is, Can He Stop? When I go for an expensive meal, I don’t want more side order vegetables than steak. At the cinema, I don’t want more credits than film. So as the NME office quakes to the sound of ‘Celebration Day’, the live album from Led Zeppelin’s O2 reunion show in 2007, I’m left increasingly baffled as to how this tiresome band’s plodding, self-indulgent arse gravy has managed to creep into the realms of respected classic rock. Heavy rock crunch? The Who and Black Sabbath did it better. Glam-era glamour? 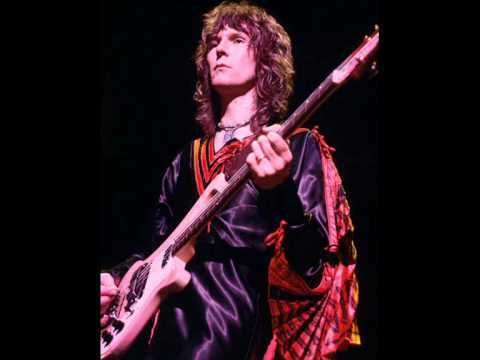 Give me Bowie or Bolan any day. To this day, it’s only the rock’n’roll mythology of Led Zeppelin – the red snappers, in-room motorbikes and occult rituals – that keep their memory in any way interesting or edgy, and even these were ripped off the likes of Keith Moon, Robert Johnson and The Rolling Stones. Strip the myths away and you find that everything saggy, overblown and boring in rock music is Led Zeppelin’s fault – hardly a cause for celebration. In 1994 Jimmy Page and Robert Plant collaborated on a new musical project for the first time since the death 14 years earlier of Led Zeppelin’s drummer, John Bonham. The reunion resulted from an invitation to appear on MTV’s hit series Unplugged. But Page and Plant wanted to steer clear of nostalgia, so they excluded former Zeppelin bassist John Paul Jones from the project and named it Unledded. The resulting album and DVD feature an assortment of Zeppelin songs that were reinterpreted with the help of an Egyptian ensemble, an Indian vocalist and the London Metropolitan Orchestra, but perhaps the most interesting part of the project was a trio of new songs recorded with local musicians in Marrakesh, Morocco. Those performances, one of which is shown here, were the result of a collaboration with traditional musicians of the Gnawa minority, whose sub-Saharan ancestors were brought to Morocco many centuries ago as slaves.